An ice kingdom on a grand scale! 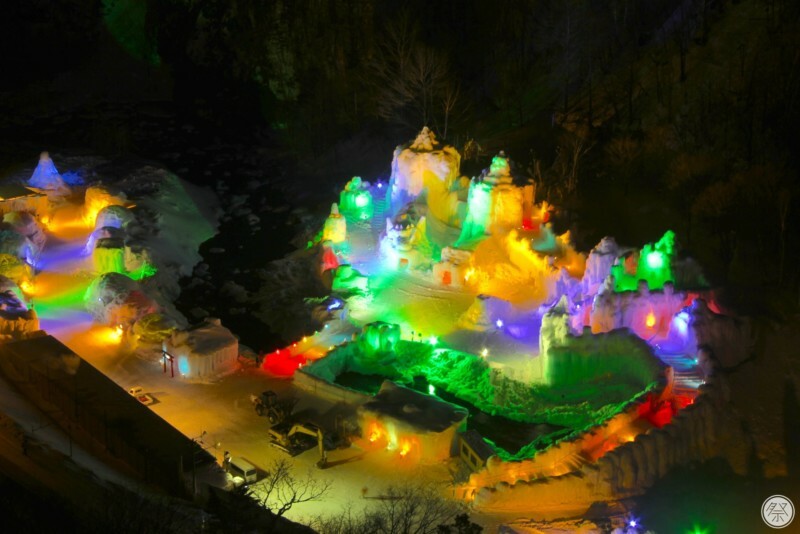 The Sounkyo Hot Spring Ice Fall Festival is a Hokkaido ice festival on a massive scale. The venue covers 10,000 square meters, fitting roughly 30 small-to-large size scale ice sculptures and buildings creating a hands-on ice kingdom. At night the sculptures are lit up in the seven colors of the rainbow making for a most out-of-this-world experience. 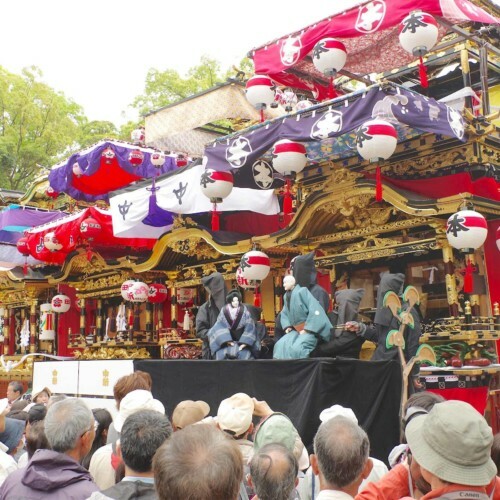 Preparations for the festival start 3 months in advance. The local Ishikarigawa River that runs through the venue grounds provides the water that is continuously poured over log skeletons. The structures are delicately created by repeatedly adding water and carving it away after it has frozen. 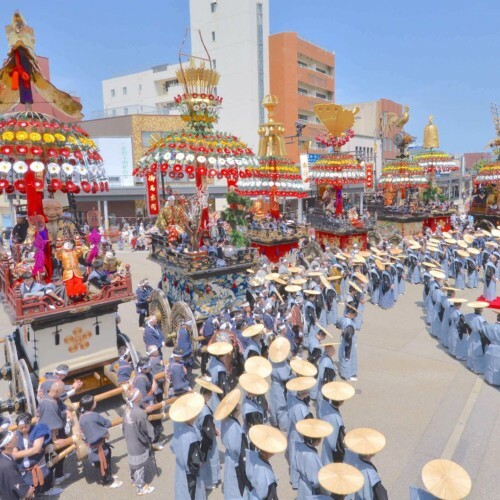 Sounkyo is one of the few famous Hokkaido Hot Spring towns. 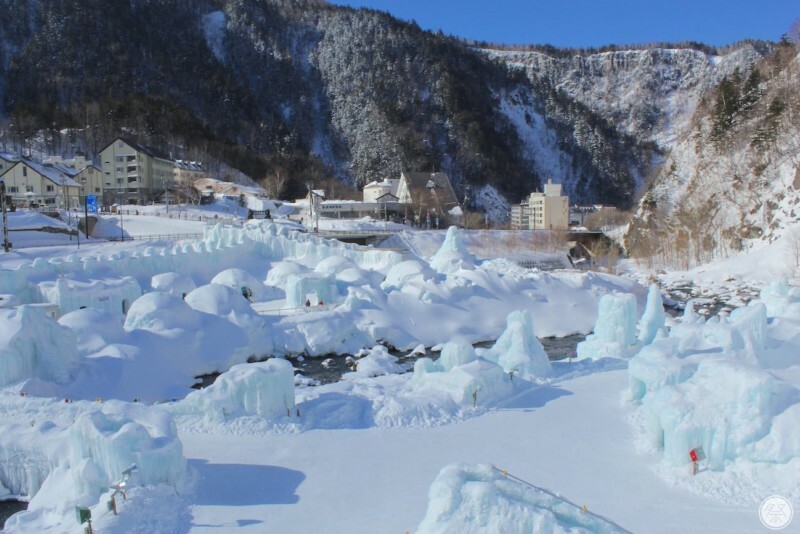 Ishikarigawa, Hokkaido's longest river, runs through a 24km long massive valley of cliffs whose dynamic geographical layout along with harsh climate creates a beautiful bitter winter scenery, featuring frozen waterfalls and all. Come get your breath taken away by the beauty of these massive ice pillars at this heart-warming winter festival. 1. 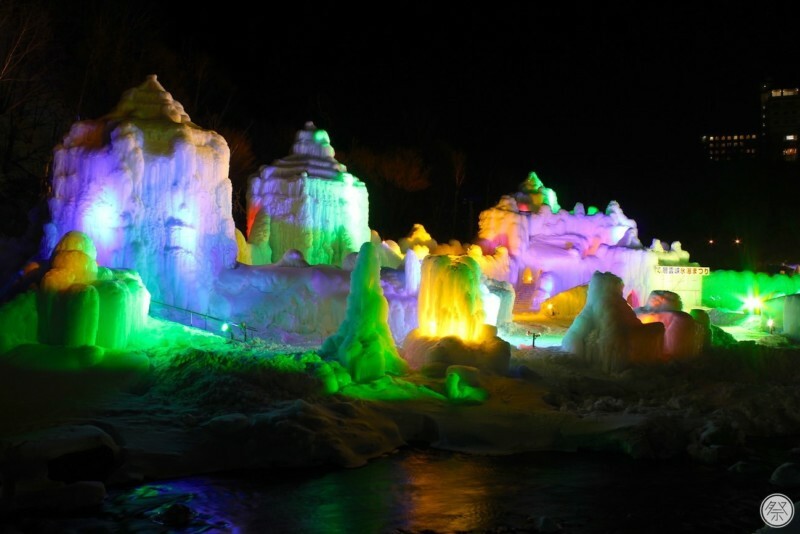 Enjoy the beauty of ice sculptures bathed in light! The highlight of this Ice Fall Festival is definitely the beautiful ice. The sculptures range in variety including a massive igloo. Don't miss the faces that they show only at night either. Glowing a blue-ish white in the day light, and lit up in rainbow colors at night, this is the mystical world of ice you will want to visit this winter. 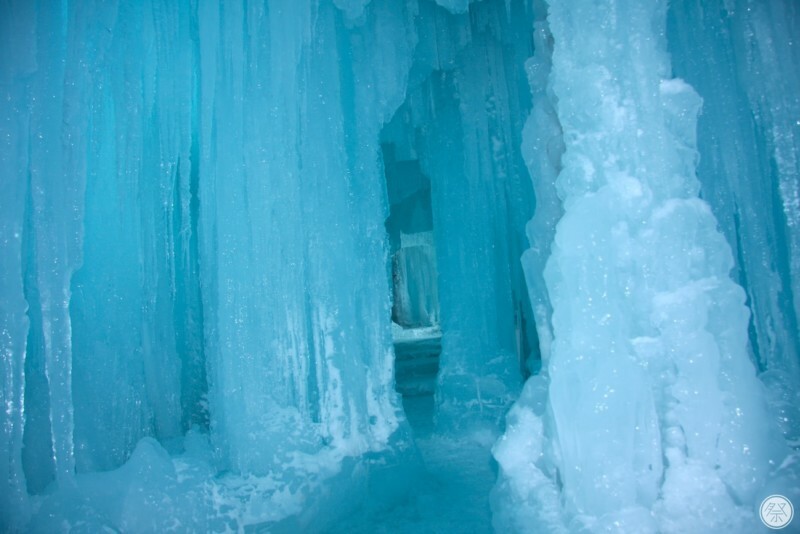 Of all the ice structures, you will definitely want to visit the ice tunnel reaching over 100 meters in length. It is made by the constant melting and freezing of water that is poured over the tunnel day and night. With many grand pillars standing inside of the tunnel as well, it is like a mystical limestone cavern. 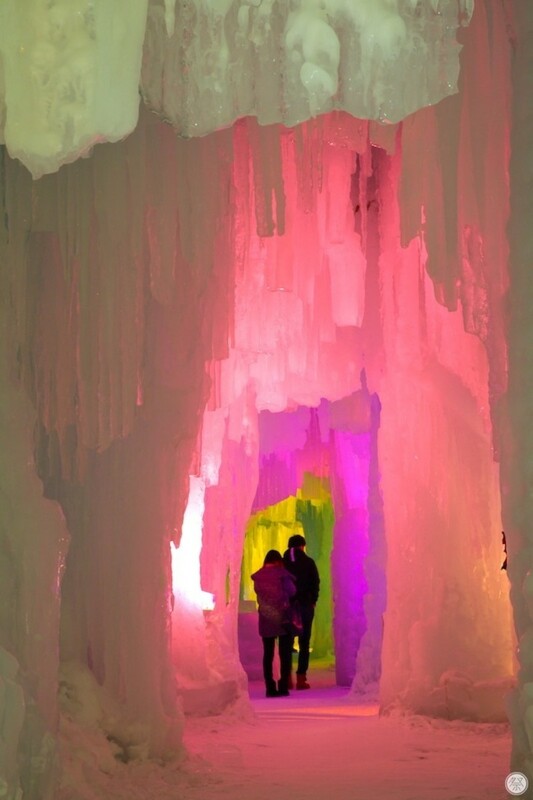 You will lose your words when faced with the beautiful ice art created by the harsh local climate. 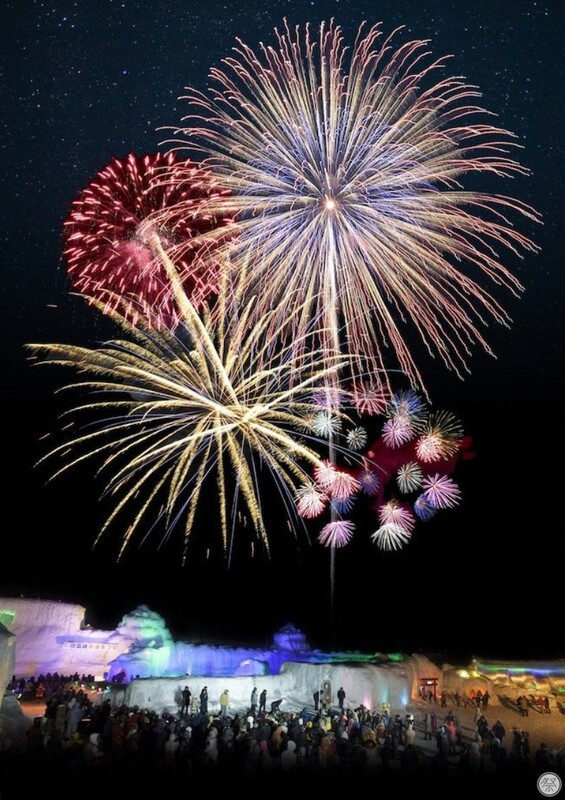 The festival reaches it's climax at the night fireworks that light the dark sky over the lit-up ice sculptures creating a most fantasy-like atmosphere. 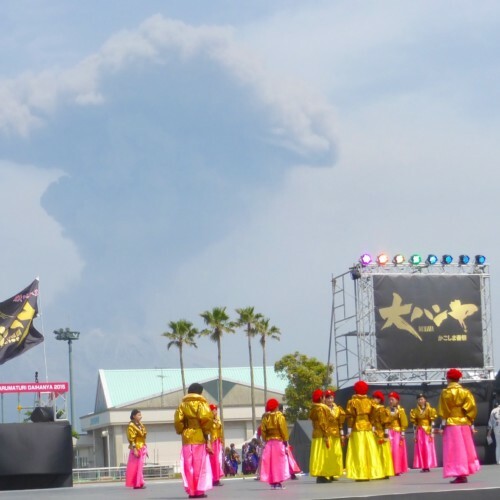 The fireworks are displayed mostly on the weekends from around 8:30pm. Check the official website for the time tables. 4. 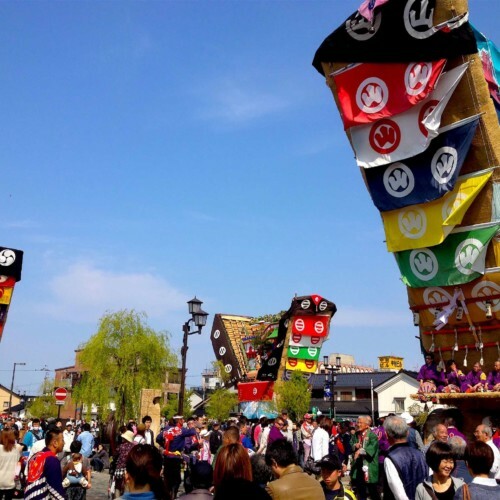 Visit the Hyoubaku Shrine for the luck to "pass your tests"
On the venue, you will find the Hyoubaku Shrine, a shrine that is said to provide the good fortune needed in "passing the tests" in one's life. 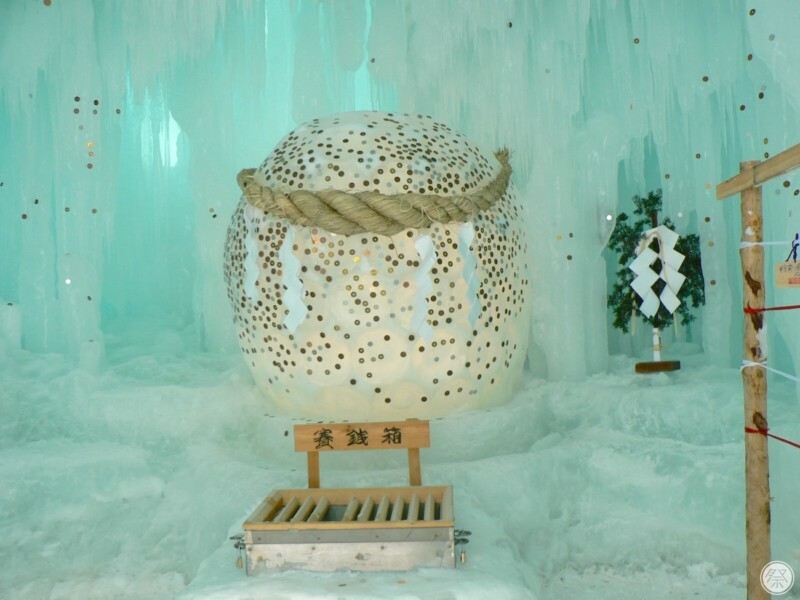 This popular attraction gets this reputation from its ice walls, that "cling on" to the coins that visitors wedge in, representing success in examinations and trials as the coins fail to fall. If you have an upcoming test, don't forget to add a coin yourself. International Reception and Info. Pamphlet in English, Chinese and Korean are available. English and Chinese speaking staff are present on festival grounds. Please do not touch the ice of ice sculptures. The ground is very slippery so please be sure to wear appropriate foot wear such as snow shoes. "Shoe Bands" (wraps for your shoes that prevent slipping) are sold at the venue. The temperature drops below zero degrees. Please dress accordingly. 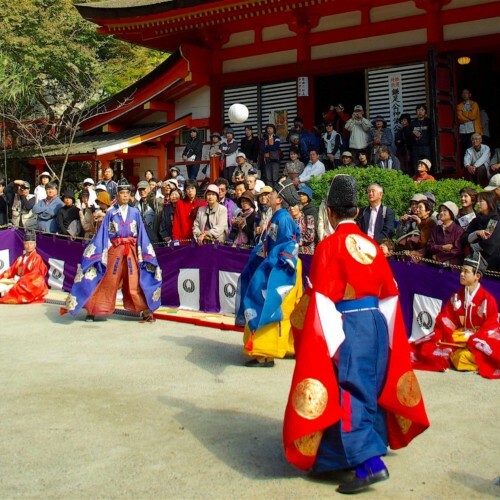 35min bus ride from Kamikawa Station on the Dohoku Bus Line to Sounkyo.